There’s more to Idaho than its famous potatoes! The Salmon River rushes through an enormous area of wilderness that is home to elk, bighorn sheep, coyotes, and golden eagles. The Snake River leaves Yellowstone, heads south to irrigate vast potato fields, then slithers back north to cut the legendary Hell’s Canyon. 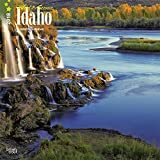 Explore the varied terrain, the geological wonders, and the glorious skies of the Gem State with this Wild & Scenic Idaho square wall calendar. 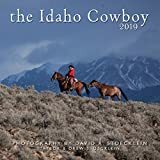 Make a visual journey through the Gem State with Scott Marchant, a Boise-based guidebook author and photographer, with the 2019 Idaho Wilderness Calendar which features outstanding landscape scenes from Idaho's forests, scenic rivers and deep canyons. 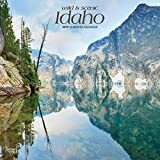 The calendar showcases the varied topography of Idaho and includes scenes from three of Idaho's cherished wilderness areas-Sawtooth Wilderness, Hells-Canyon Wilderness and Gospel-Hump Wilderness. In addition to the caption name, you will also find information on how to find the photographed location. 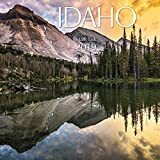 This unique calendar also includes meteor show dates and suggested hikes each month from the five Hiking Idaho guidebooks.